HOUSTON – Mayor Sylvester Turner, Apache Corporation, Trees for Houston, Texas A&M Forest Service and volunteers from across the City will join the Houston Parks and Recreation Department on Saturday, January 26, 2019, to celebrate Houston’s 33rd Annual Arbor Day. The Arbor Day program begins at 8:00 a.m. Following the program, partners and volunteers will plant 1,000 trees along the bayou at MacGregor Park. The site was chosen to showcase one of the City’s efforts to mitigate flooding, improve air quality, and rebuild the riparian forest in the Houston area. The Apache Corporation is donating 500 of the 1,000 five-gallon trees for this year’s Arbor Day celebration planting. Apache has been an active partner of the Houston Parks and Recreation Department and its Urban Forestry program since 2007. Apache continues to support the department’s Urban Forestry program and the annual Arbor Day celebration. It also sponsors the Tour de Houston Bike Ride and Bayou City Classic Fun Run which benefit the Department’s efforts to reforest the city. As part of the celebration the Texas A&M Forest Service will give away an additional 1,000 FREE trees (3-gallon) to the public. Species include Live oak, Shumard oak, Bur oak, and Red Maple. The Arbor Day Foundation will present the City of Houston with an official designation as a Tree City USA for its commitment to stewardship and efforts to increase the city’s tree canopy. Additional partners and volunteers joining in the 33rd Annual Arbor Day Celebration include: The Friends of MacGregor Park, the Zina Garrison Tennis Academy, the Greater Southeast Management District, Yates High School, Beatrice Mayes Institute, Gallagher Risk Management, ILM Academy, Wheeler Avenue Baptist Church, Crossroads Alternative and Elsik GOE Step Team, Filipino American Chamber of Commerce, and the Vietnamese Eucharistic Youth Society. The Arbor Day Foundation is a 501c3 non-profit organization that exists to inspire people to plant, nurture and celebrate trees. Tree City USA has been a program of the Arbor Day Foundation since 1976. 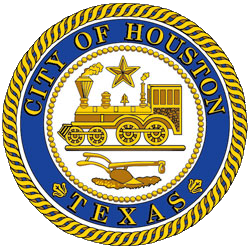 The Houston Parks and Recreation Department (H.P.A.R.D.) stewards and manages over 37,851 acres of parkland and greenspace for the City of Houston and develops and implements recreational programming for citizens of all abilities. For more information on the Houston Parks and Recreation Department, call (832) 395-7022 or visit www.houstonparks.org.